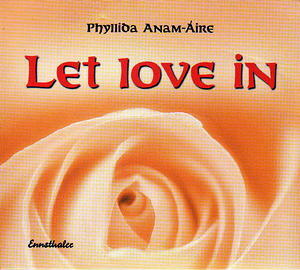 "Let love in" she loves this c.d herself! The songs showed her where her places of vulnerability lay. The words of "Cradled" reassured her that no matter what life was like on the outside she was deeply loved . Through the eyes of love has been a beautiful companion to many people who feel they are still unworthy of God´s love. The words "Through the eyes of God you are holy" seem at first to be rather pompous but as we sing further we realize that we are truly "the singer of God´s song" The Gaelic lullaby "Aruna" is simple and yet deep. The words say...Ahh! beauty of God, in the form of a human being. The song "Stay with me" is about our human longing to be loved and to be cared for. May the words and music of this CD delight your heart and touch your beautiful soul.